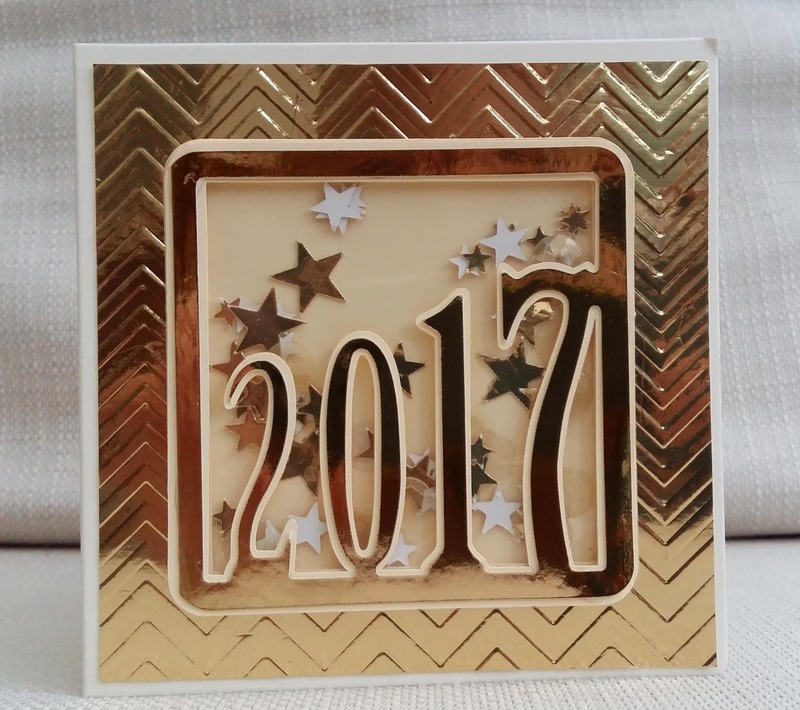 For my DT card I just went for it on the goldness and newyearsiness! 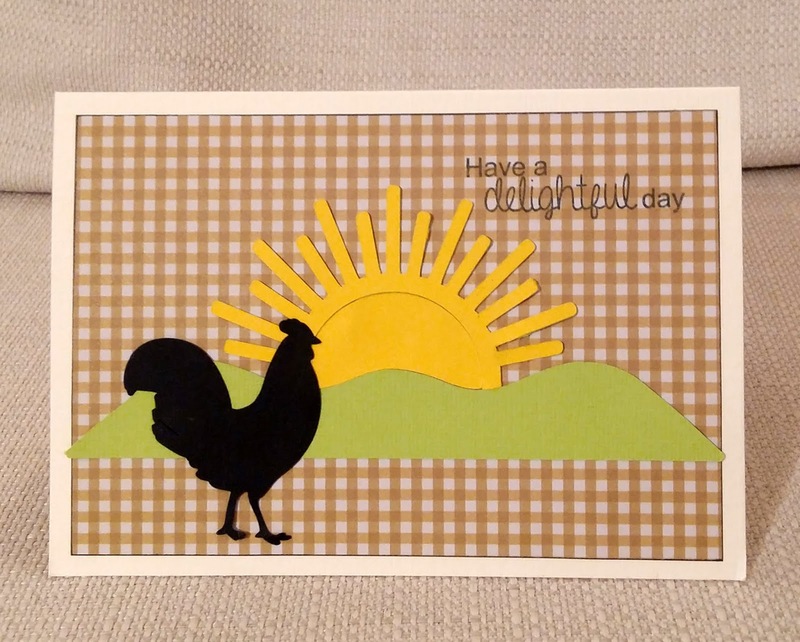 It is a shaker card that I designed and cut on the Silhouette electronic cutting machine. This card will be given to my brother and his family when I go to their New Year's Eve party tonight. 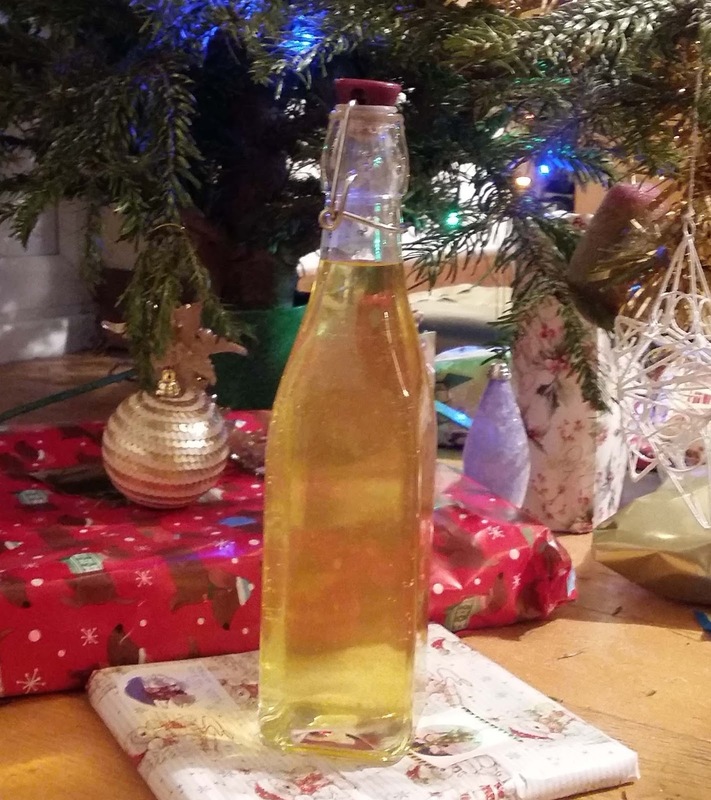 The one I gave them last year has been propped up on a shelf all year long ...yes, honestly.. even when I've made a surprise visit, it is still there!!!! 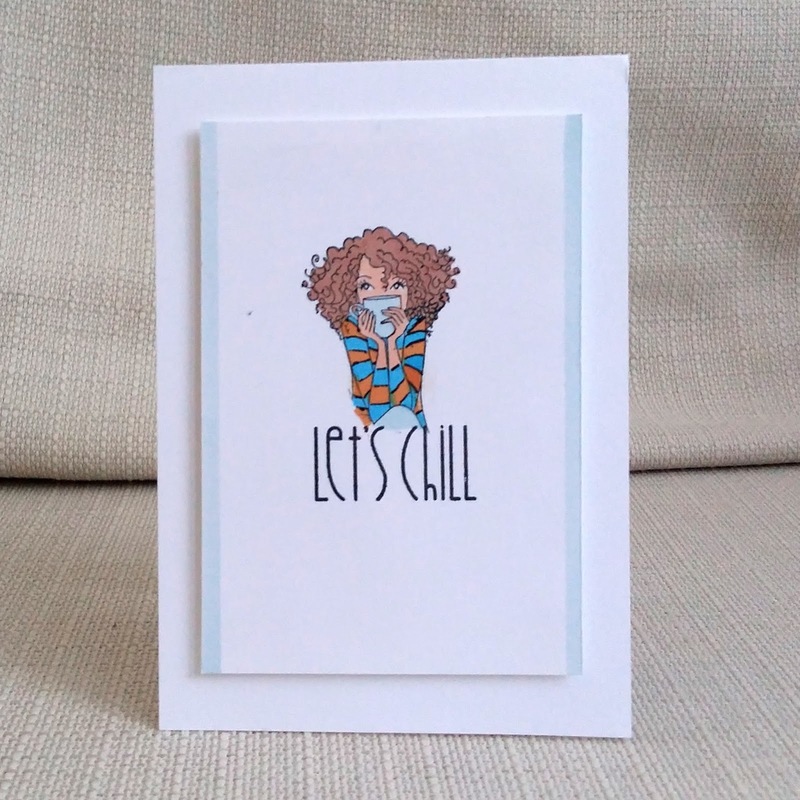 So no-one deserves a handmade card more than they do and I hope they like this one. I really hope to see you enter a photo -inspired project at Inkspirational. This time I focused on the 'new beginning' element and made a New Year card. 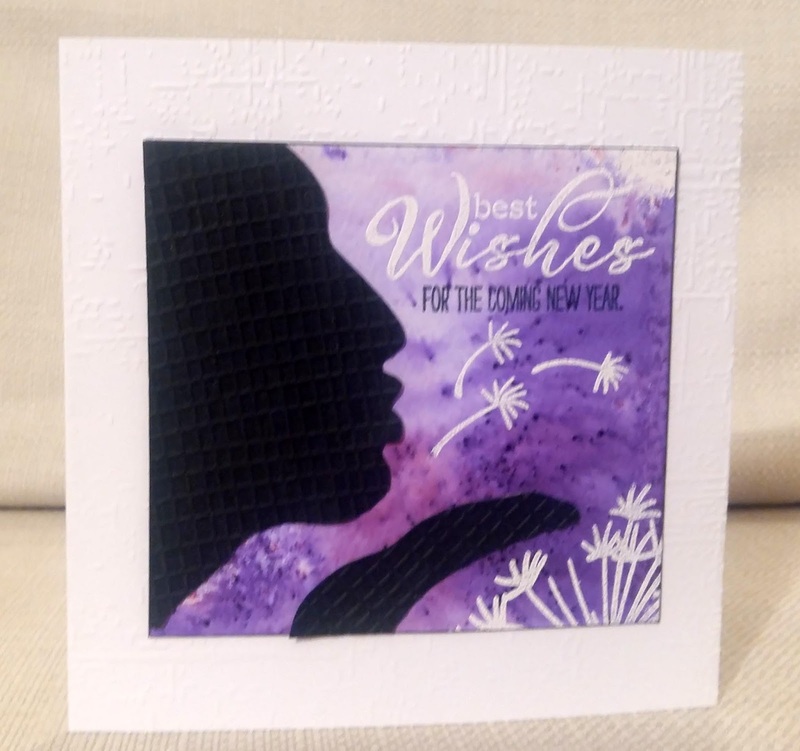 The background was made with Brushos and I cut the silhouette on the Silhouette. I stamped and embossed 'Best wishes' (Clearly Besotted) and the dandelion stamps ( Stampendous) in white and then added 'for the coming new year' (Mama Elephant). 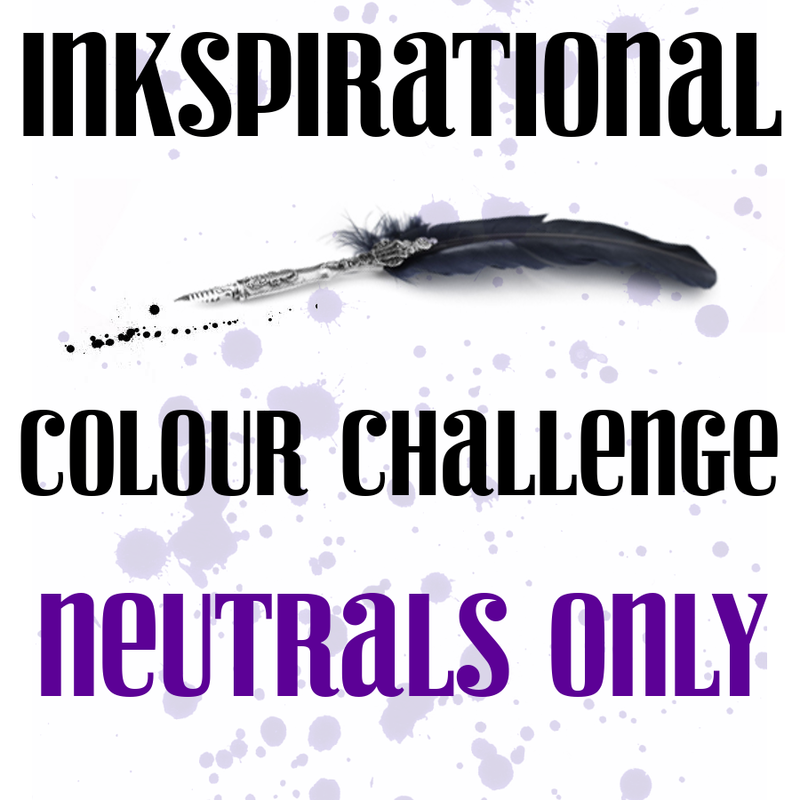 I hope you'll join in with this challenge. Thank you Time Out for having me as the Guest Designer. 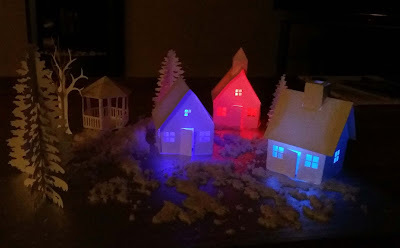 Okay ...my Christmas village, which has gradually expanded from a single house into a hamlet. No skill or creativity required... I just cut the SVGs (3d SVG) on the Silhouette and added colour change LED tealights from Poundland. Today, I'm delighted to be the Guest Designer at Time Out . 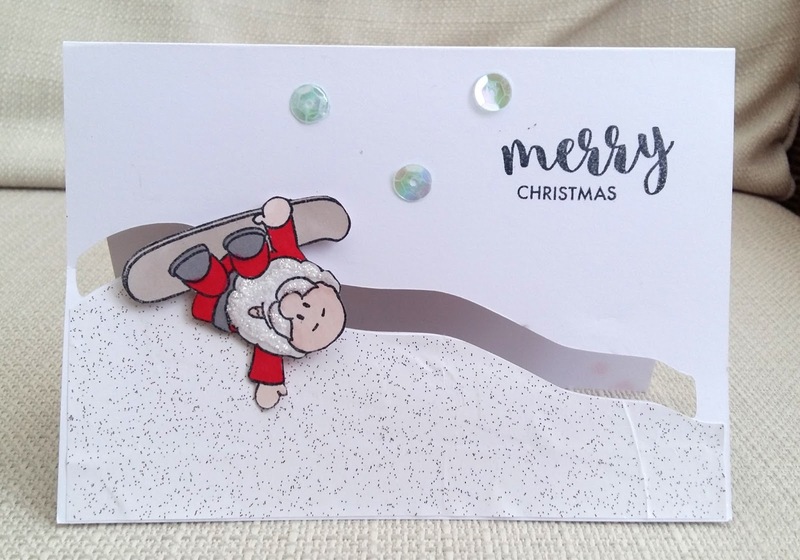 Okay, I admit this card does look a bit like a breakfast cereal logo but at least it doesn't look like a Christmas card,which is what I'd been making loads of before I made this. All the elements were cut on the Silhouette electronic die-cutter and the sentiment is a Clearly Besotted stamp. 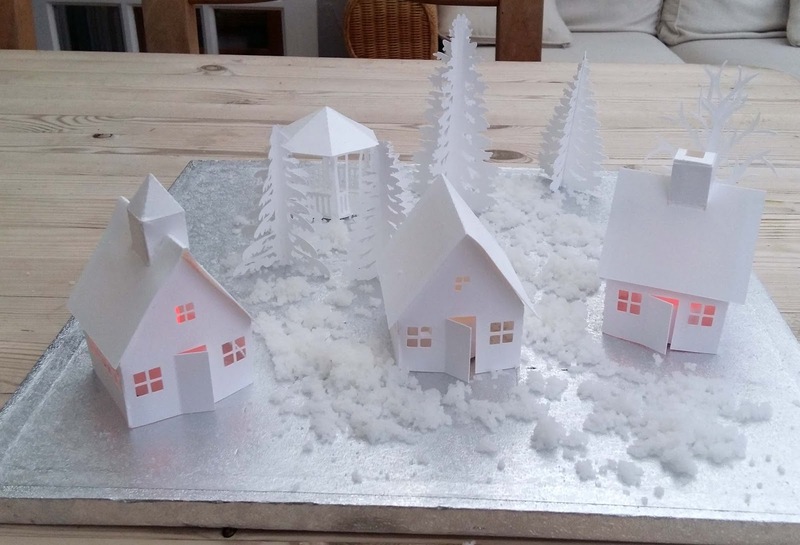 Please do go over to Time Out and see what the DT have made and join in the challenge. Happy Birthday to my lovely Inkspirational team-mate, Shauna . 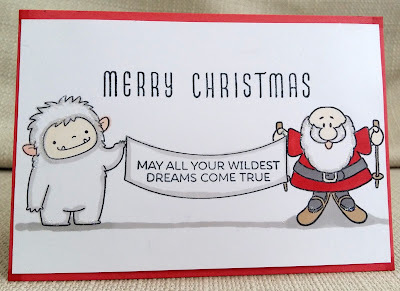 I hope this card has reached her on time (I put it in with your Christmas card). With all the mail we send out at this time of year, I had to keep it light to post internationally. 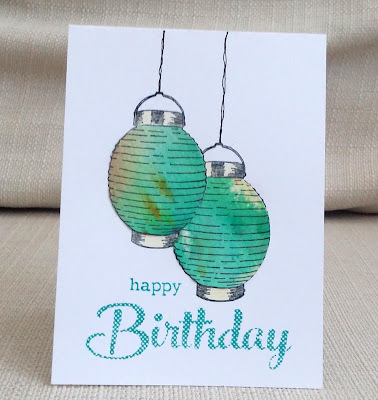 I stamped the lantern stamp (Sheena Douglass) twice onto the card base and then paper-pieced with some paper that I'd watercoloured with irridescent pigment powders. 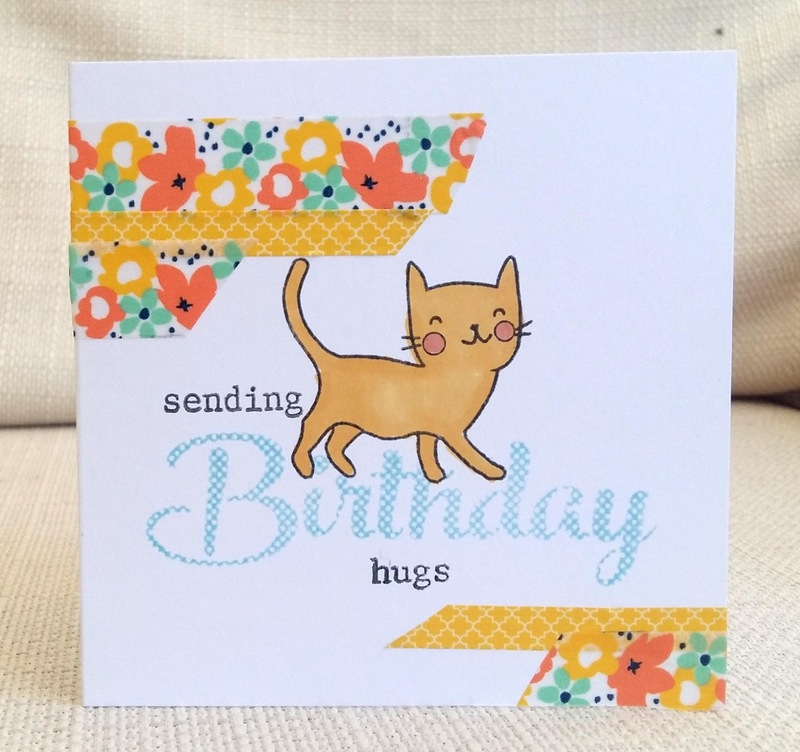 I drew some strings and stamped the sentiment (Clearly Besotted). 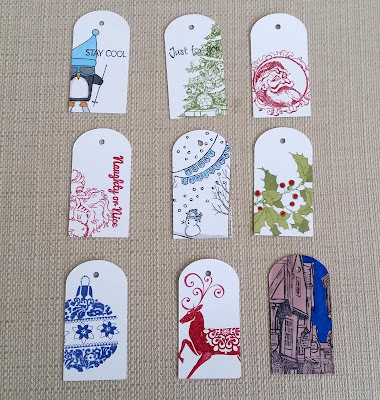 I realised I needed some tags for presents, so I die-cut an A4 sheet of card into tags, and stamped them with whatever Christmas stamps randomly came to hand. That was fun! 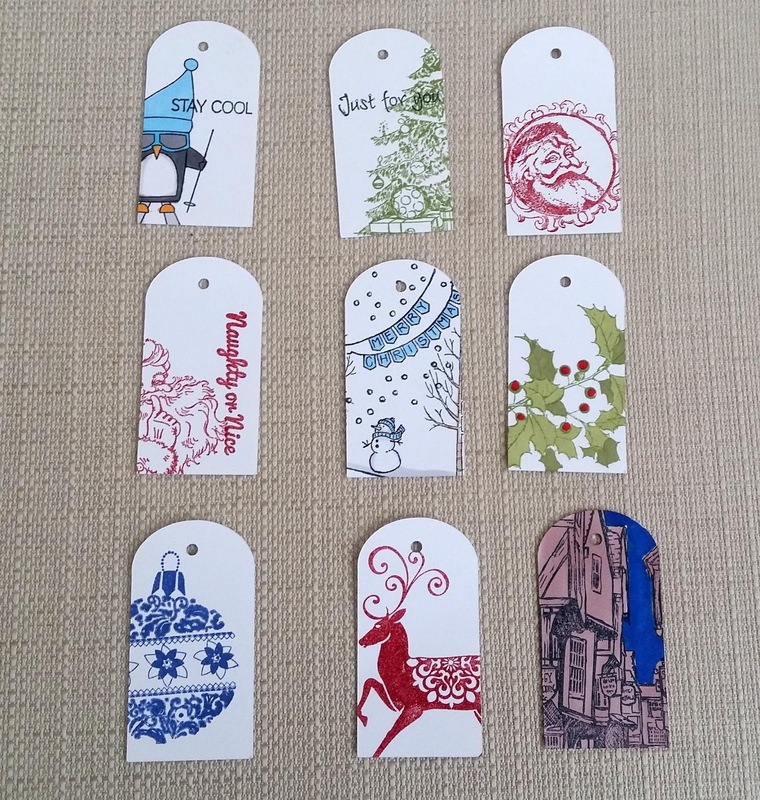 I'd like to enter Shopping Our Stash's tag challenge. 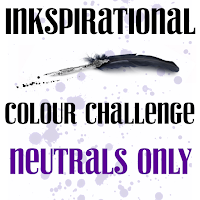 Our new Inkspirational challenge is to use neutrals. I chose to use shades of grey. 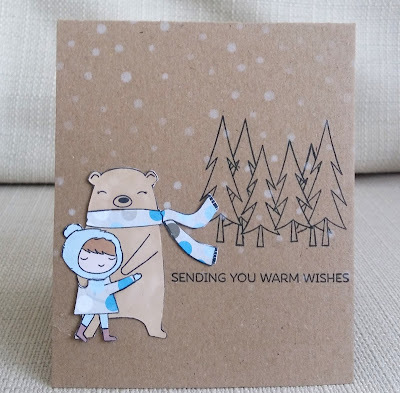 The bear is My Favourite Things and the ice and sentiments are from different Avery Elle sets. I used Wink of Stella on the ice. 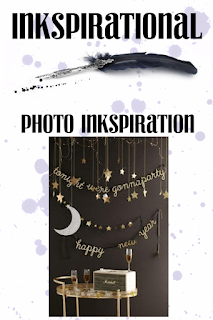 Our Guest Designer this time is Raquel , so I hope you'll come over to Inkspirational and see what she and the rest of the DT have made and enter your own project. 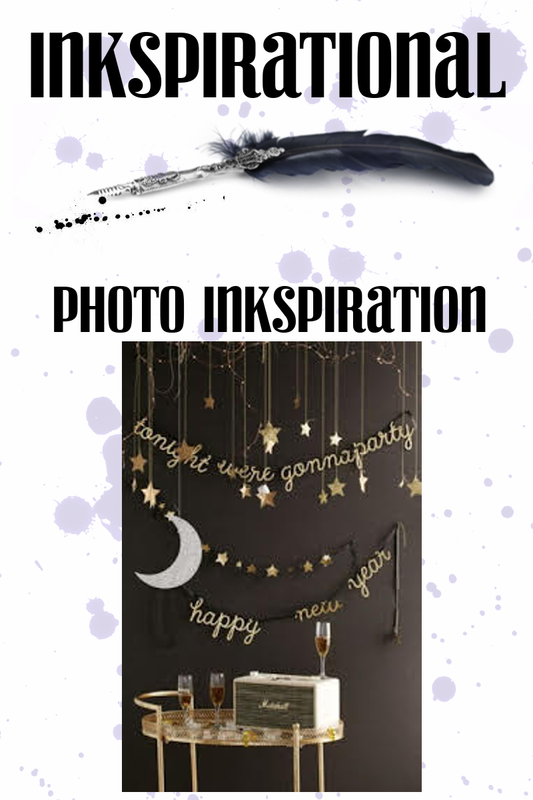 Today is the birthday of my lovely Inkspirational team-mate, Carol. I fear this card may still be in transit to her across the Atlantic. ( I put it in with your Christmas card). Despite having been making Christmas cards all year long, Christmas itself seems to have come as a surprise to me and I'm now scrabbling to get the cards written and sent, It doesn't help that I've run out of stamps for abroad and the post office is only open when I'm at work. Oh well, I'm sure the cards will get there eventually. 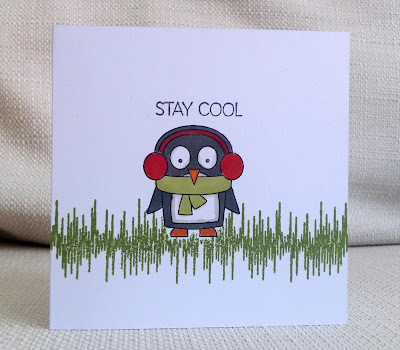 This one-layer-card was made using a My Favourite Things penguin stamp. I know those may be ear-warmers he's wearing but I like to think they are headphones and that's why I've combined him with Indigo Blu's graphic equaliser stamp. 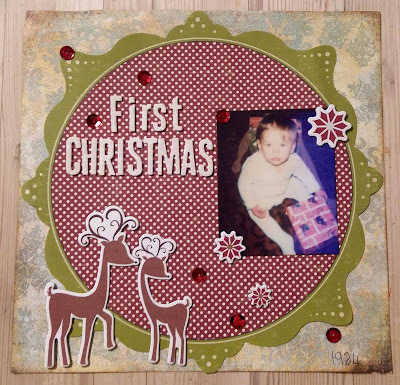 I was able to use up some really old stash here... the circular piece is by Making Memories, the background is Basic Grey (I don't think either of these companies still exist), and the chipboard embellishments are MME. I used white glitter stickers for my title and added red sequins. 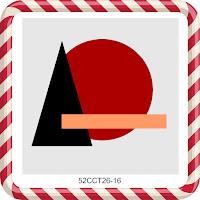 I chose this week's challenge at City Crafter - Christmas things that float or fly. 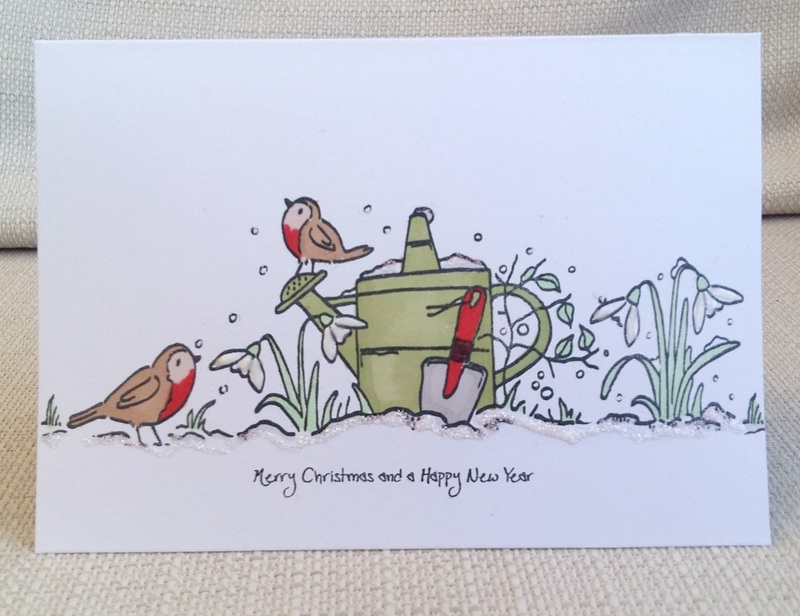 For my DT card I cut a robin and the top of a post box on the silhouette electronic die-cutter, I added snow using white embossing powder and the two part sentiment is Mama Elephant. I hope you will come over to City Crafter and see what the rest of the DT have made, and enter your own project. Today, I'm honoured to be a Guest Designer at Crafty Boots. 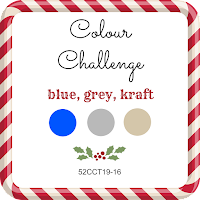 The challenge theme is Christmas. 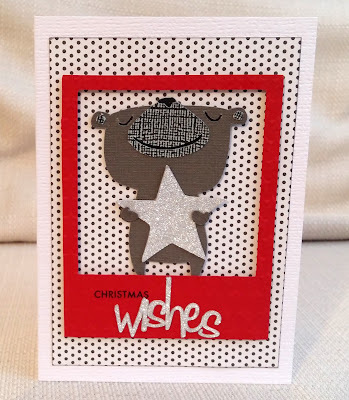 With my Silhouette cutter I used a cut file from Lettering Delights and cut the star out of glitter card. I also cut the frame and 'wishes' . 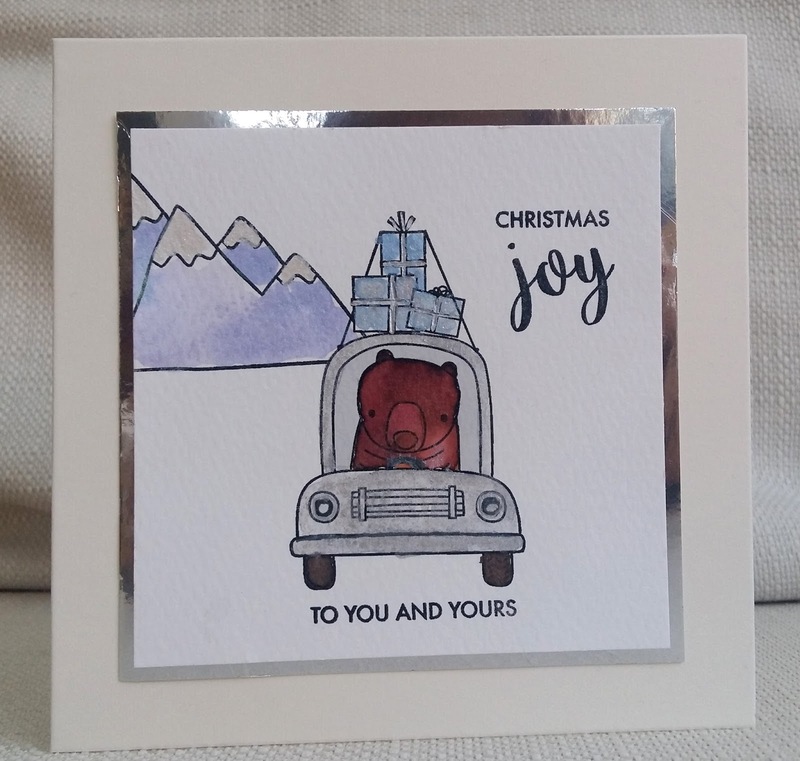 The 'christmas' is an Avery Elle stamp. 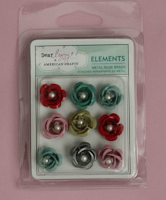 I hope you'll come over to Crafty Boots and join in the challenge. I made this at Scrapbags, my local crop, and I took the branches idea (and borrowed the die) from June,the crop leader. Despite the upcoming Christmas festivities, birthdays continue unabated! 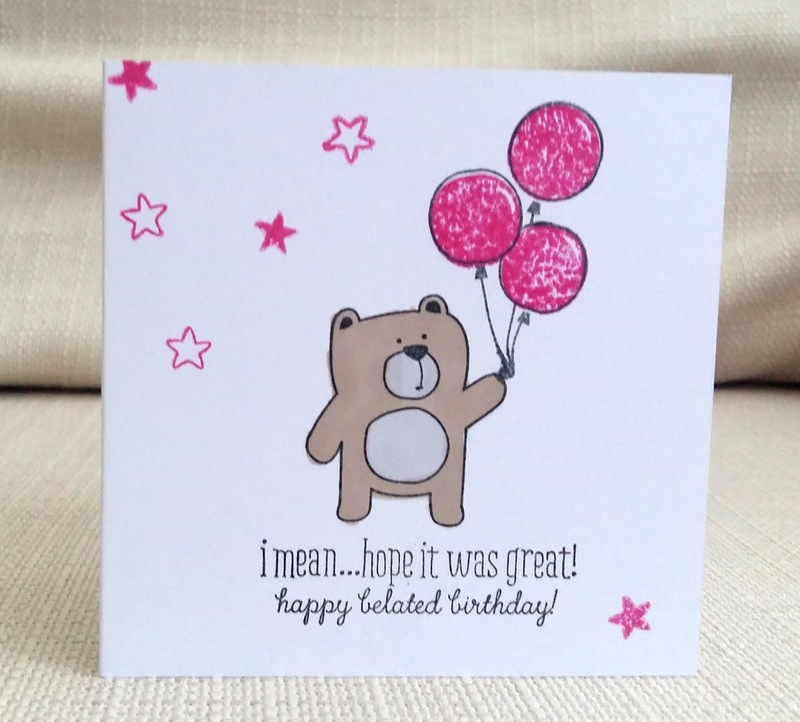 Here's a card I made for my niece, Sally. 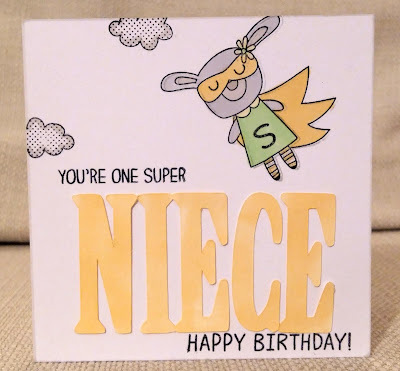 I used stamps by Lil Inker and letters die-cut on the Silhouette. 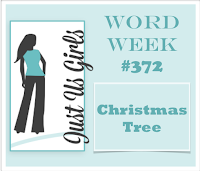 Stella has chosen this week's challenge at City Crafter , and she wants us to feature a Christmas tree. My tree is by Stampendous, and I coloured it with markers and gel pens, The sentiment stamps are by Mama Elephant. I hope you will join us this week at City Crafter - please come over and see what the rest of the DT have made, and enter your own Christmas tree project. Here I used a stamp from Wplus9, coloured with Promarkers and paper-pieced with a Bo Bunny paper. 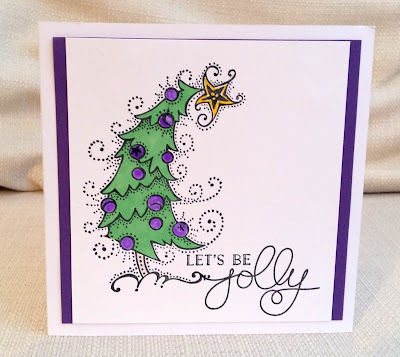 I masked and stamped the trees (from My Favourite Things Chill Wishes ) and stamped the sentiment (from a different MFT set). The snow is a MFT stencil. 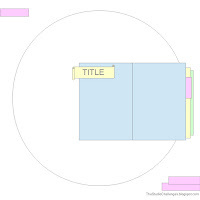 My design was based on a sketch from 52CCT - I had it in my head rather than in front of me and I have 'made it my own'! 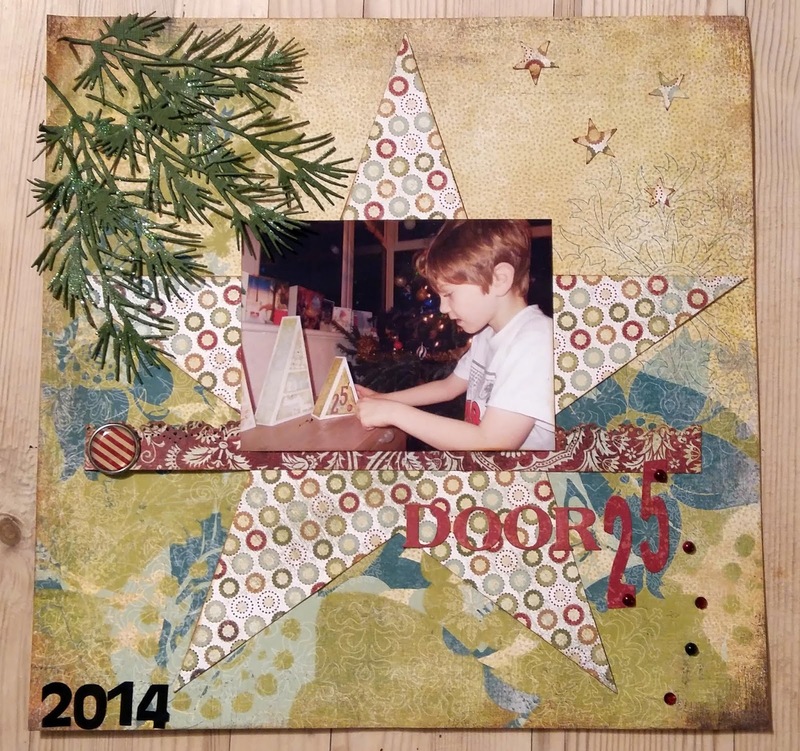 I also used a 52CCT colour combo. 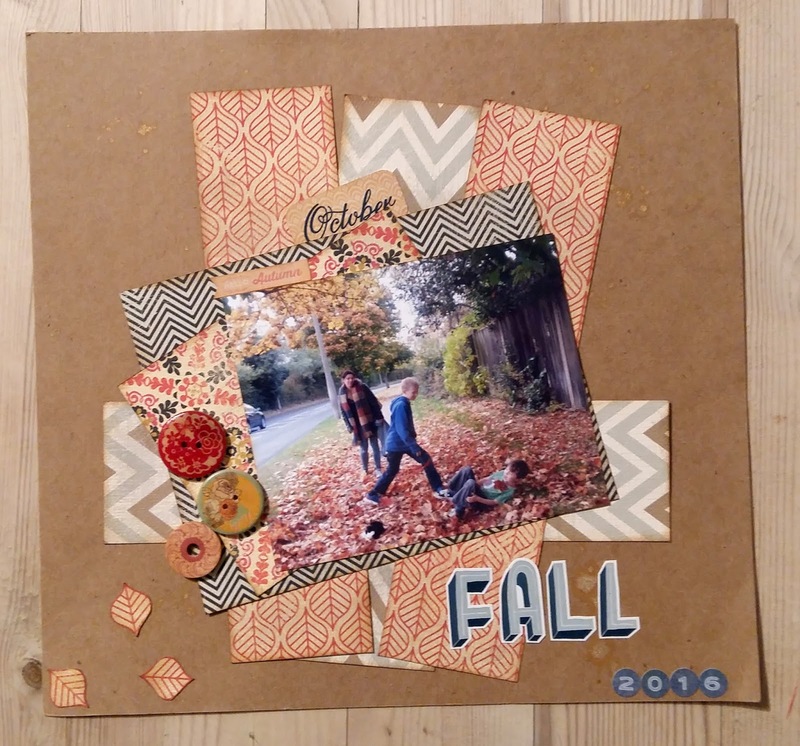 All the stamps are from W plus 9 Friends for All Seasons- Fall - and I stamped directly onto a card base. 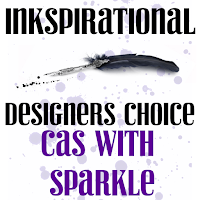 Our challenge at Inkspirational has been chosen by Sandie and she wants to see CAS cards with sparkle. 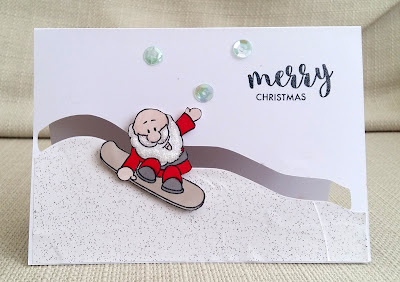 For my DT card I made a penny slider card - it's the first I've ever made. 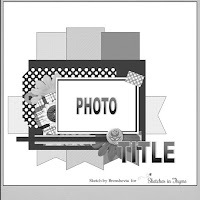 For the track I used a Silhouette cut-file kindly shared freely by JJ Bolton . I coloured the Santa (Gerda Steiner) with alcohol markers, cut him out and attached him to two coins. I added lots of Stickles to his beard etc. The sentiment is Avery Elle. 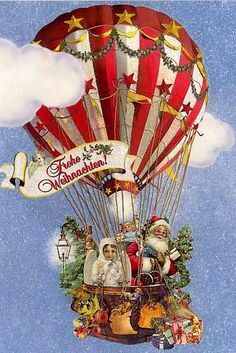 I love the way Santa spins right round. Next time though, if I'm going to use real coins I'll use a thicker base card, as they are quite heavy. 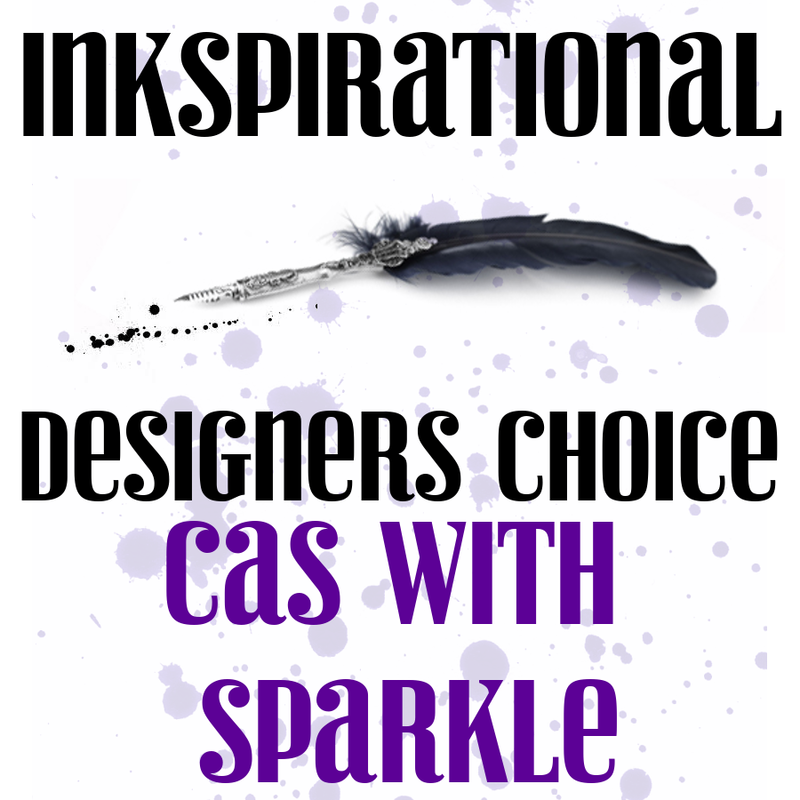 This time, our Guest Designer is Tracy , so I hope you'll come over to Inkspirational, see what she and the rest of the DT have made, and enter your own sparkly CAS creation. 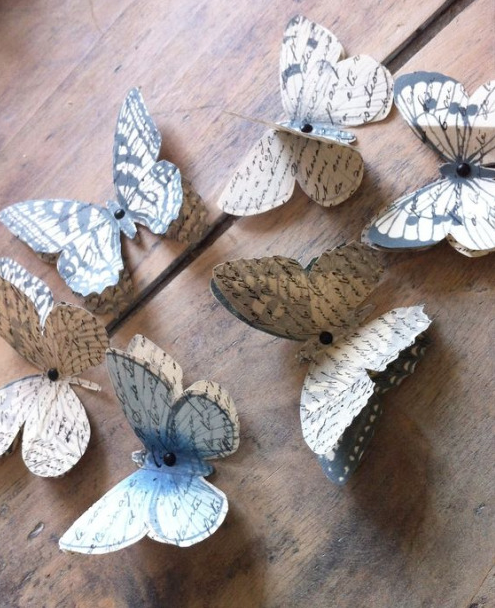 This week at City Crafter , Kirsty wants us to be inspired by things we see in the garden. 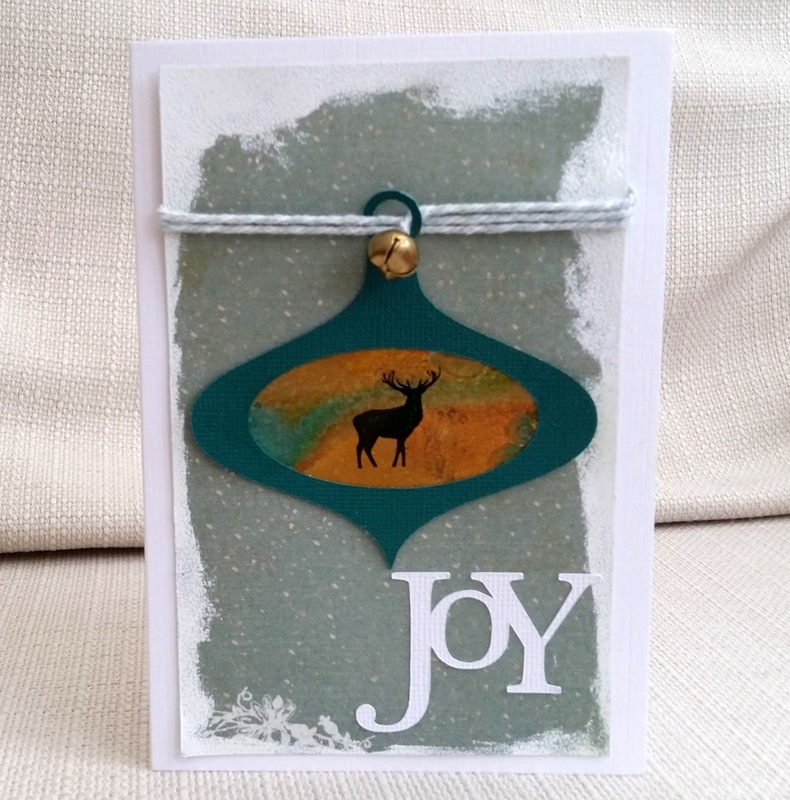 For my DT card I used three stamps from a Woodware set and stamped them along the length of the card base. 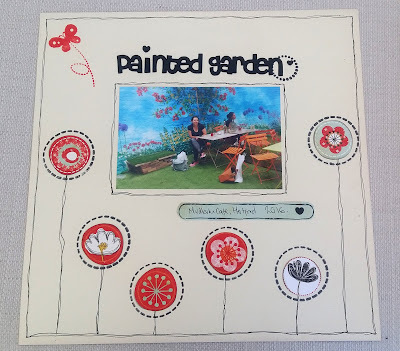 ( there was a bit of a gap on the left-hand side , so I stamped the edge of one o the stamps again). I coloured with alcohol markers and added some gltter and shine - gel pen on the falling snow, stickles on the snow and enamel accents on the snowdrops. The sentiment is by Crafty Impressions. 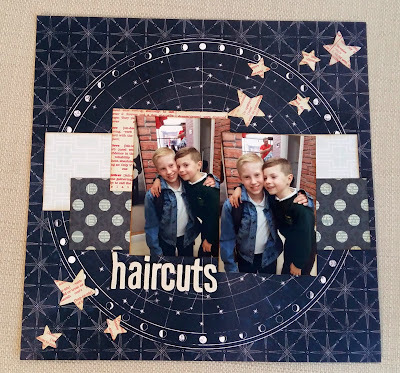 Our Guest Designer this week is Nicolette, and if you enter a project this week you could win a small gift (see below), and become our Special Guest Star for January. 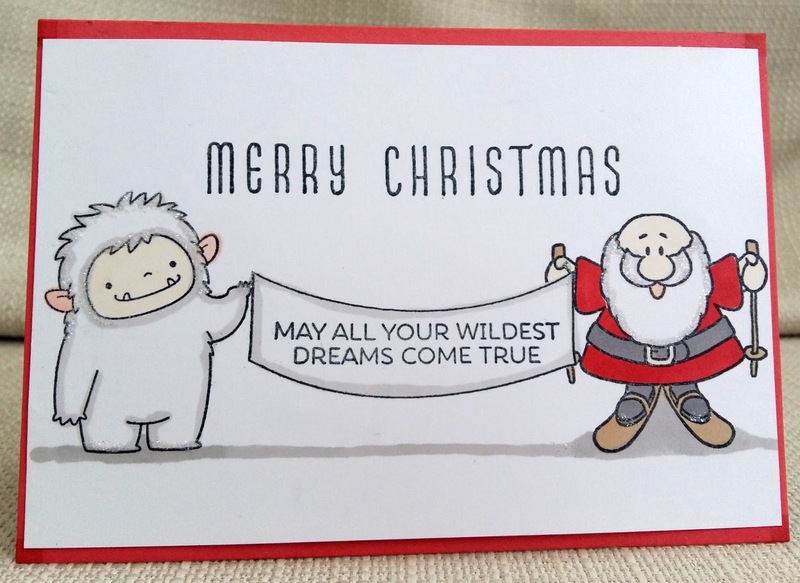 Here's a silly Christmas card I made because I really wanted to use the Beast Friends set from My Favorite Things. 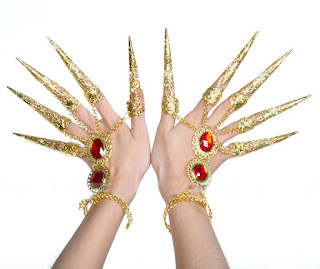 I wanted this set as soon as I saw it but then, before I'd had chance to use it,I saw so many wonderful cards using it that I just couldn't think of anything original to do. 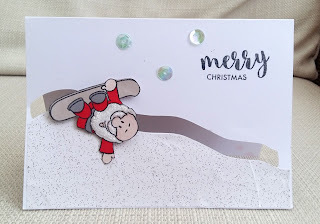 So, I decided to team the yeti up with this skiing Santa from Gerda Steiner Designs. The banner is from another GSD set and the sentiment , not very convincingly stamped on the banner, is from MFT unicorn set. 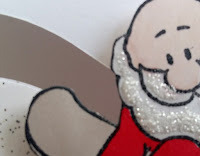 I added clear glitter to the fur and hair. 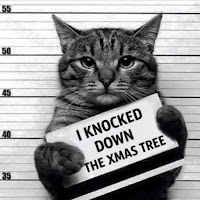 ... to deliver his Christmas presents. 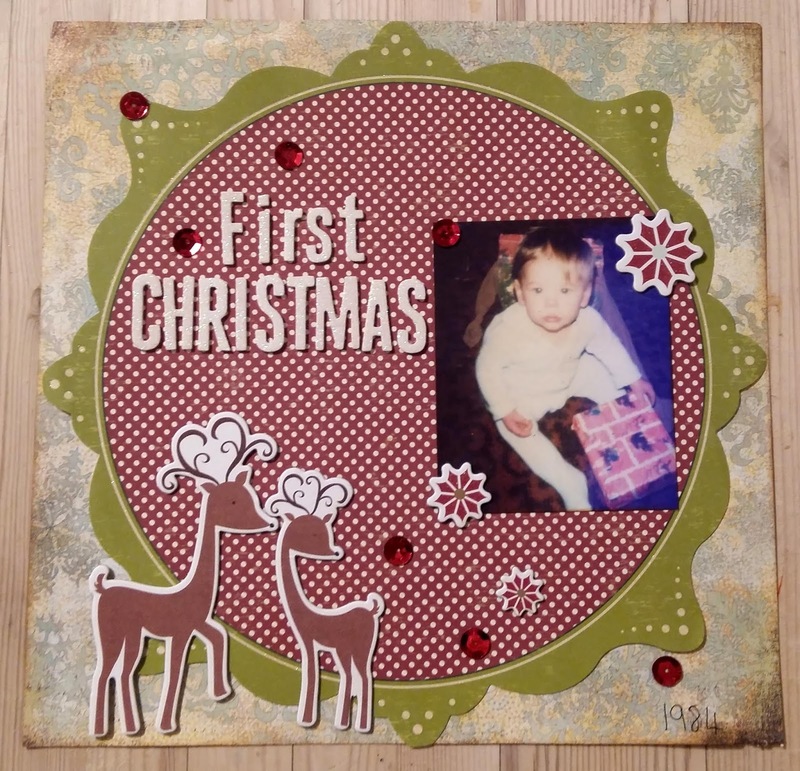 Here I used a set by Reverse Confetti and sentiments by Avery Elle. 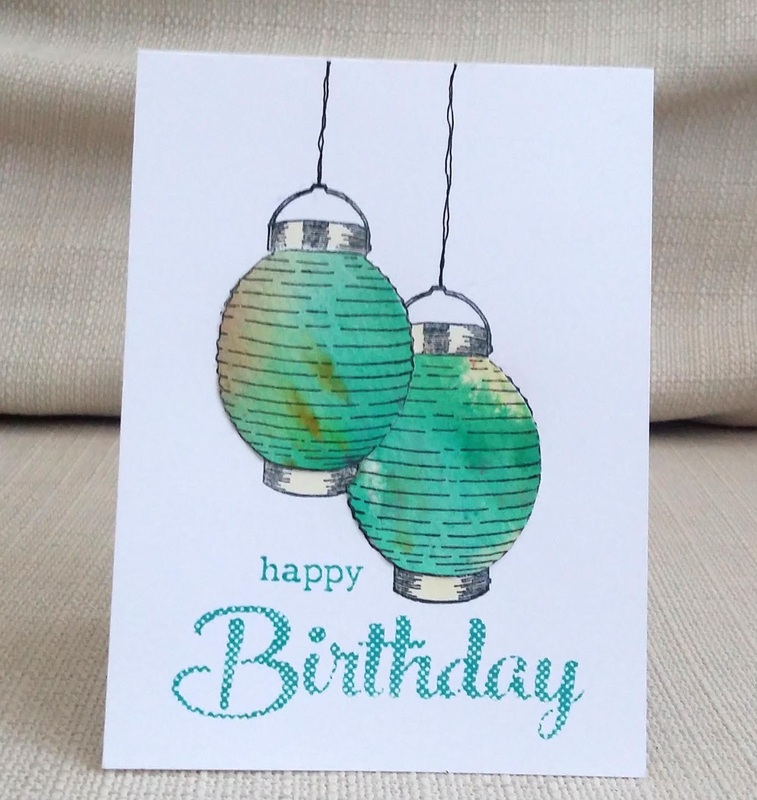 I coloured with shimmery watercolours : Twinkling H2Os and Pearl Ex paints. 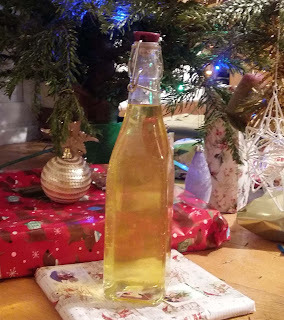 I chose this week's challenge at City Crafter and it is to use a gold medium - something that could stain your fingers gold - not just gold card. 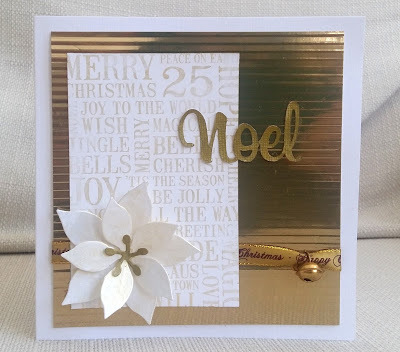 For my DT card I die-cut a poinsettia and then rubbed it over with very pale gold gilding wax - I know it's hard to see on the photo. The flower middle and the sentiment were coloured with a gold marker pen. 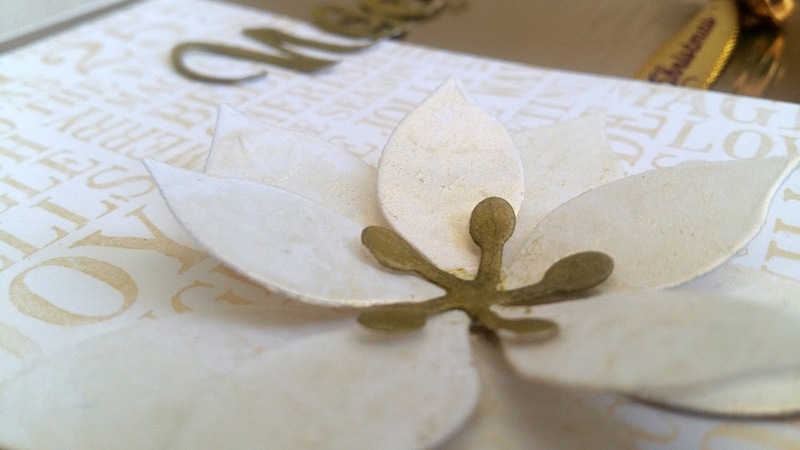 I stamped the background words (a Darkroom Door stamp) in clear ink and then covered it in gold PearlX powder. I crimped some gold mirror card and added gold ribbbon and a bell. Our Guest Designer this week is the talented Lenet Mos , so I hope you will come over to City Crafter and see what she and the rest of the DT have made and enter your own project . 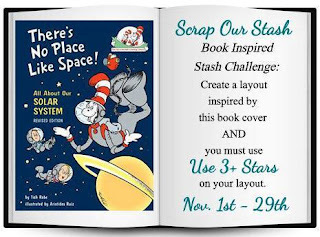 I used the space background and the red and white on the hat inspired my choice of paper for the stars. I had a rummage through my bag of leftovers and scraps to see if I could make something for the challenge at Shopping our Stash. 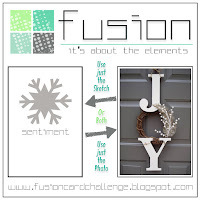 I found a die-cut (Silhouette) bauble with the middle missing and a scrap of card with a background I made with metallic marker pens and water, Also some sentiments - I chose the Joy one because it went with the challenge at Fusion . I stamped a reindeer ( old magazine freebie) onto the background, put it behind the bauble and trimmed it. 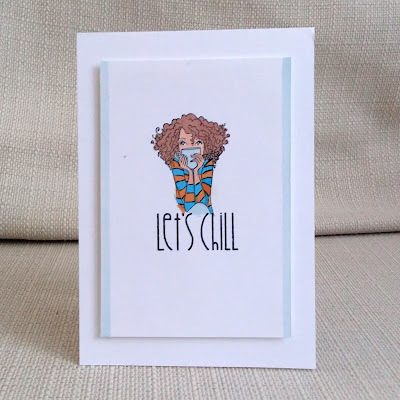 I used patterned paper from an Authentique pad and smudged white ink and embosing powder on the edges. I added twine and a bell. 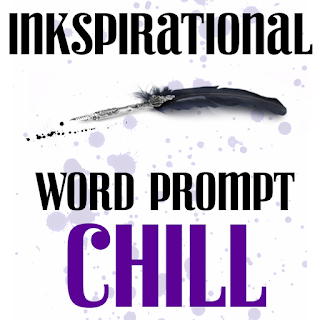 Our new challenge at Inkspirational is Chill. 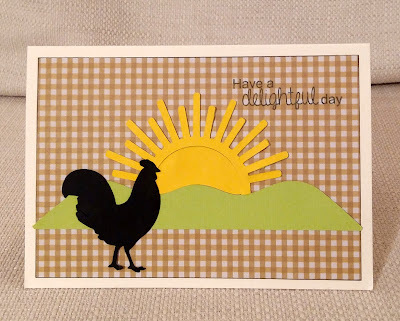 For my DT card I used a stamp from Stampin Bella - it's just part of the stamp - I masked her legs off! I wanted this to be a winter card, but the woman was wearing a Tshirt, so I transformed it into a stripey jumper. (You can see a card I made with the undoctored image here) . 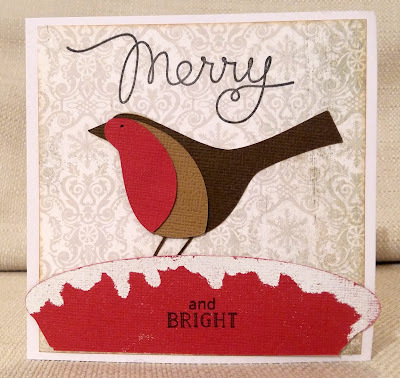 Then I stamped the sentiment which is from a Paper Smooches Christmas set. 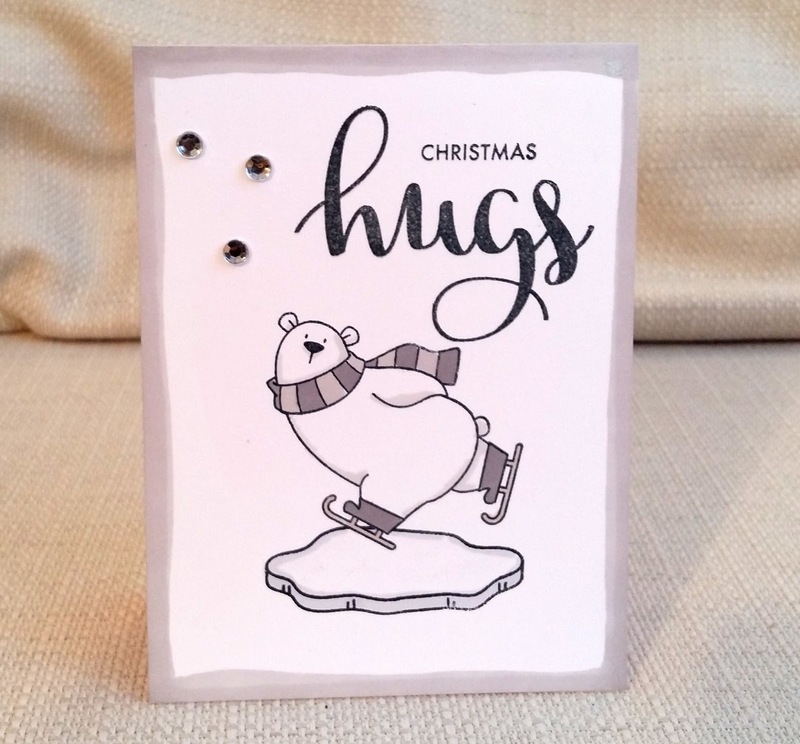 Our Guest Designer is Teresa and I hope you will come over to Inkspirational to see what she and the rest of the DT have made, and enter your own chilly project.